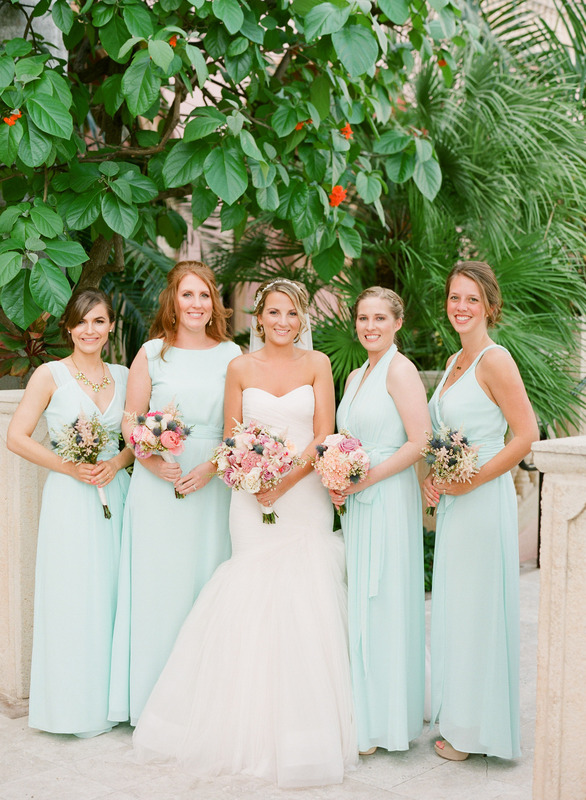 Romantic Wedding of Emma and David at Boca Raton Resort in Florida. From the Romantic Mint bridesmaid Dresses to the Stunning Flower Adornments, you Won’t be Able to Stop Staring at these Summer Wedding Ideas! This installment on wedding ideas adds a romantic twist on summer weddings. 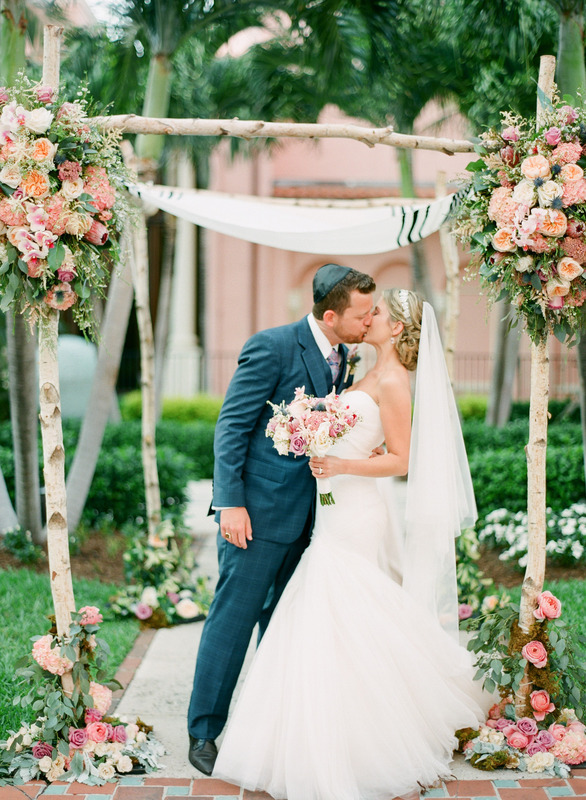 Emma and David got hitched at Boca Raton Resort in Florida. 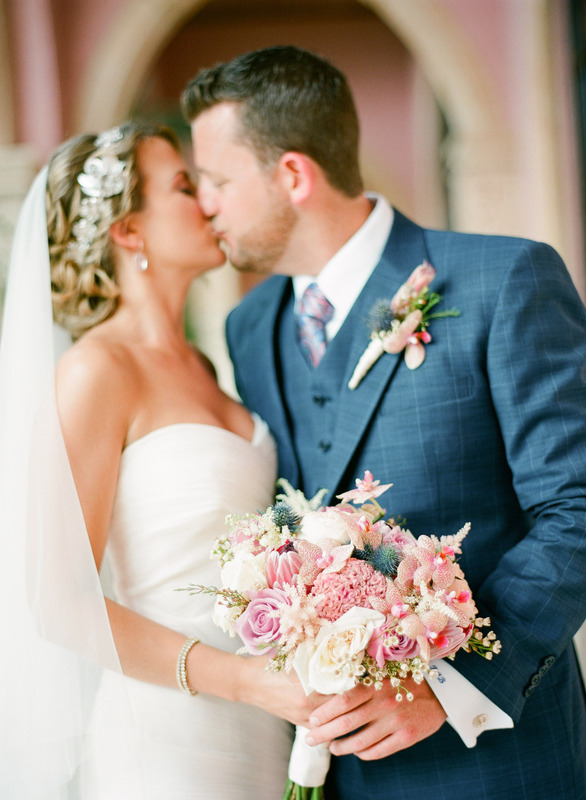 The perfect blend of pink and peach flower adornments, combined with the beautiful tropical setting, created a unique frame for their big day. 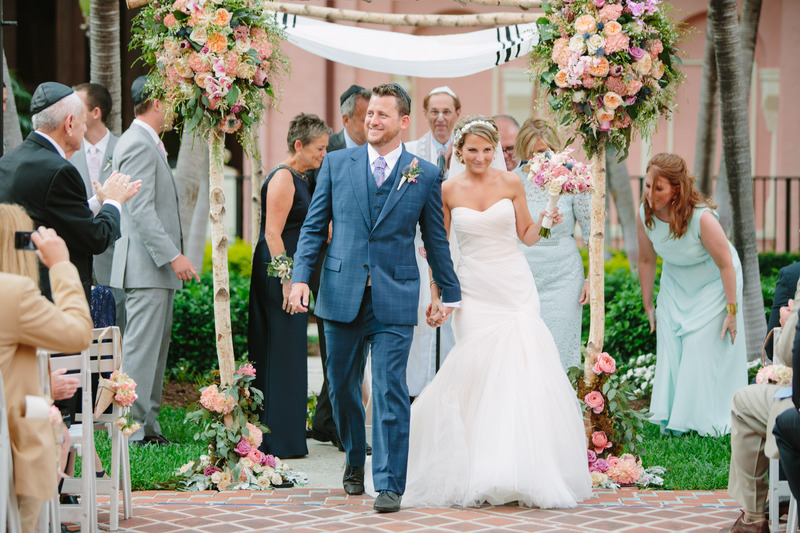 Everything about this wedding is romantic and beautiful and the results are absolutely jaw dropping! Here are some shots from the event, all taken by Justin DeMutiis Photography. Emma’s bridesmaids each wore a different long mint dress, and carried different bouquet styles. The bride wore a classy white mermaid dress, starfish heels, and a rhinestone flower headband. The colonial building in the background matched the pink color of the flower decoration. 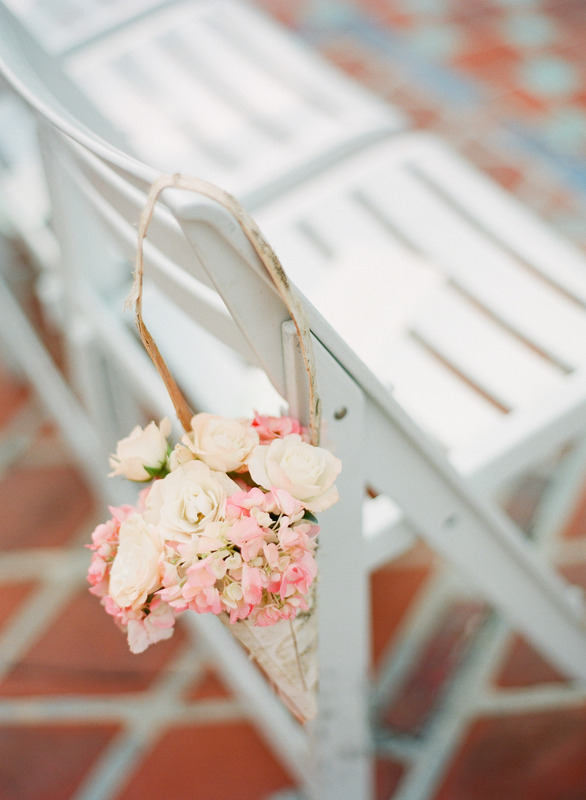 White and pink are the dominant colors in the entire wedding area, thus creating a warm and elegant ambiance. 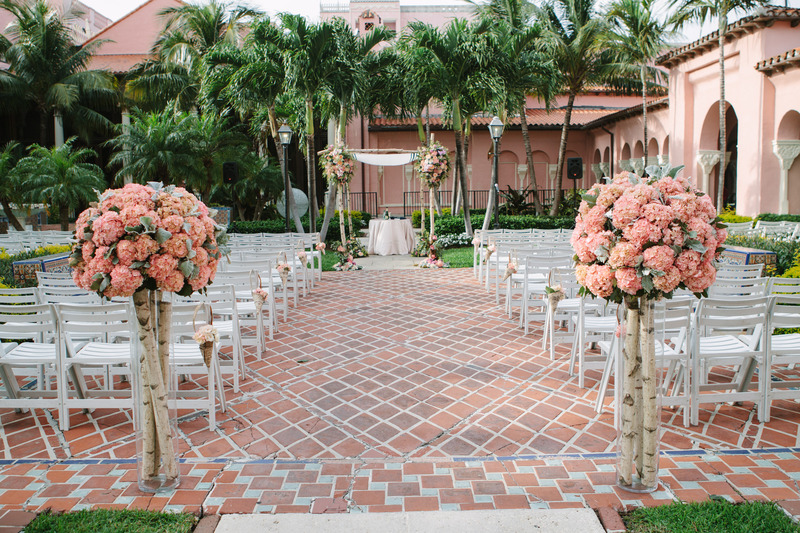 Palm trees give an exotic touch, unique to a wedding in Florida.